Now you can see whether vehicles in repair orders have ever been recalled, as well as view detailed information on each safety recall. We have added the ability to select an RDX Mapping that will be used for exporting invoices to QuickBooks Online if at least one RDX Mapping is assigned to your Back Office application. 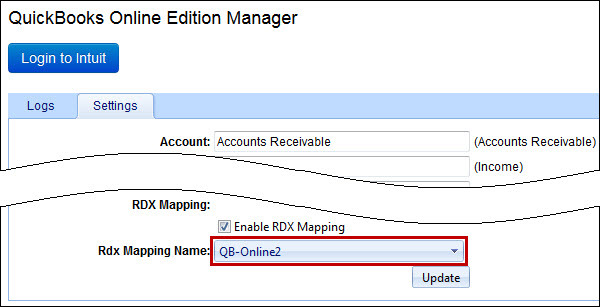 On the Miscellaneous tab, click QuickBooks Online 2, and then on the QuickBooks Online Edition Manager page, on the Settings tab, click the appropriate RDX Mapping in the RDX Mapping Name box. Sign in to Intuit, click QuickBooks Online Exporter, and then on the QuickBooks Online Log page, click the appropriate RDX Mapping in the RDX Mapping box. Tip If you don’t want to use any RDX Mapping, click (do not use any mapping) in the RDX Mapping box. 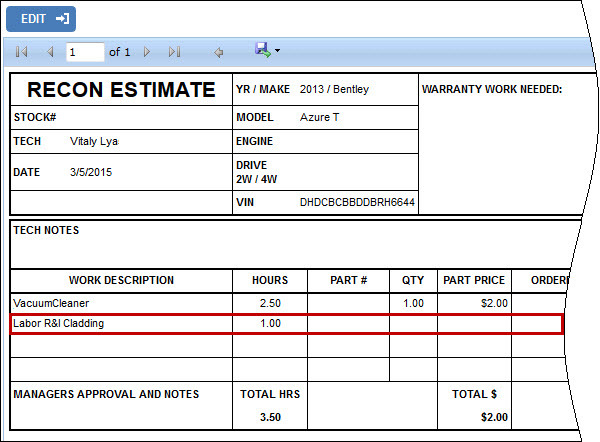 Now all labor services added to inspections or work orders are automatically shown in the Parts Ordering form. Note Labor services are shown in the Parts Ordering form in the read-only mode, so you cannot edit labor services even if they were manually assigned to the Parts Order Form question section. ...if the Show “Price X Quantity” for services check box is selected in the Line Items section of the print template configuration.